Kaizala enables businesses and organizations of any size to communicate with and manage workforces in a structured and secure way. It is designed for large group communication, work management, reporting and analytics and integrated with Office 365. Businesses can connect with their entire value chain and run actions including: broadcasting announcements; sharing documents; assigning tasks and check-lists; hosting polls or surveys; sharing training content remotely; submitting expenses; marking attendance and tracking staff in the field. The mobile application officially launched in Kenya can be used on Windows devices, Android and iOS phones. The app is built with the mobile first culture of emerging markets in mind. It is also optimized to work on any network. Kenya becomes the first African country to launch and use Kaizala. Previous markets such as India and the Philippines are the only others using it. Today we are excited to announce the availability of Microsoft Kaizala in Kenya. 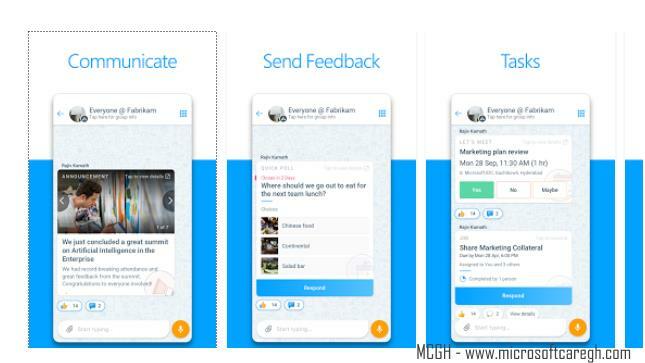 Kaizala is a mobile app designed to improve the way your business communicates, collaborates and manages workflows, using a simple chat interface. The app addresses several challenges faced by most businesses in Africa who manage field staff remotely. Task workers working on construction sites or in manufacturing plants, retail shops and other industries, typically don’t have a dedicated work space, computer or even email address. As a result, they generally use pen and paper or unsecure consumer-messaging apps on their personal phones for work-related communications. This makes it hard for managers to share and collect important information. Kaizala makes it easier and less time consuming for organizations to communicate, assign and track work in real-time and create reports based on aggregated data. The application was piloted earlier this year by some organizations in Kenya prior to its official launch. Organizations such as Unilever, M-KOPA Solar, Mawingu Networks and Well Told Story all piloted the app. Microsoft says with 1,000 fulltime staff and 1,500 sales agents in the field, M-KOPA Solar have used Kaizala to collect real-time sales data and location information. This has cut down their data compilation from a 6 to 8 hour job, to one that takes under a minute. Well Told Story, another organization the trialed the app is using Kaizala as a research tool. Putting it into the hands of their youth network to run surveys and interviews on their behalf. This empowers the youth with jobs and income, while also giving Well Told Story the rich insights that fuel their youth media business. 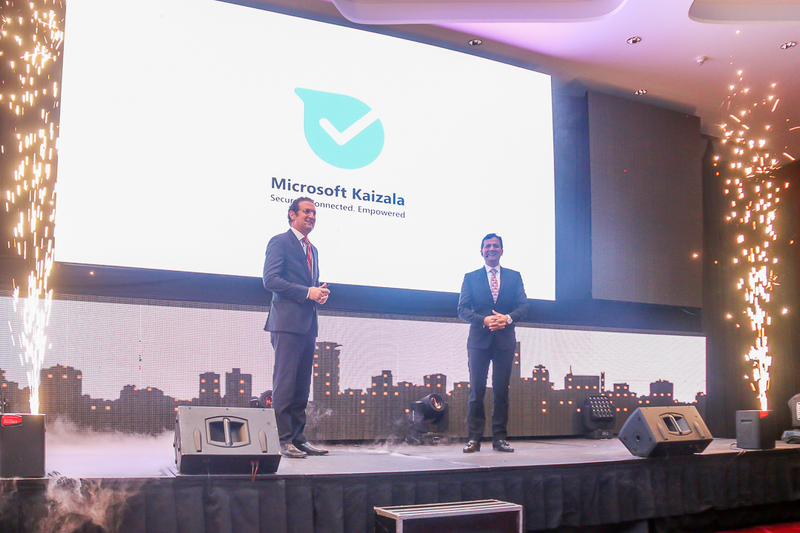 “As we launch Microsoft Kaizala in Kenya, we hope to help connect the complete value chain, including even the unconnected parts of organizations – from small businesses to large enterprises and governments who wants to connect with their citizens. 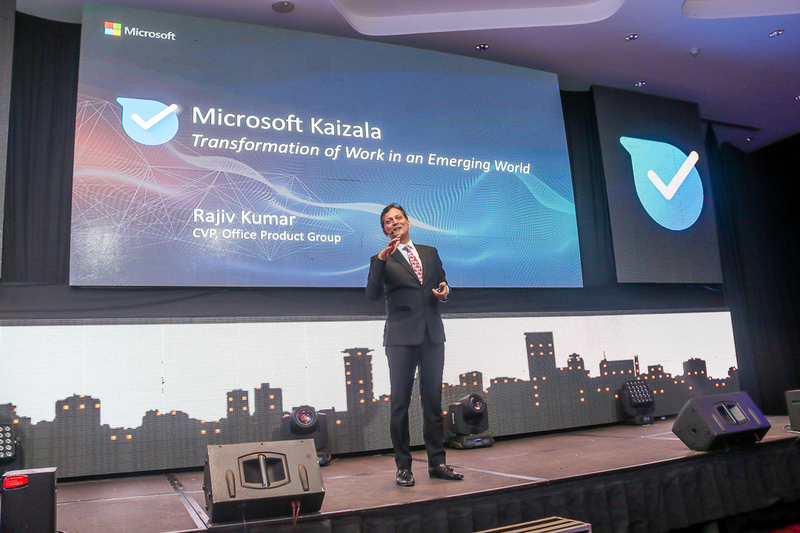 Microsoft Kaizala’s vision is to empower every organization and community to achieve more through purposeful chat,” – Rajiv Kumar, Corporate Vice President, Office Product Group, Microsoft. Communicate with and manage an unlimited number of users, including employees, front-line workers, customers, suppliers and citizens. Organisations can create flat, hierarchical or discoverable public groups in minutes from contact lists, organisation directories or adhoc sharing. For users in remote areas, the app is optimised to work even on slow 2G networks. Users do not need an email address to sign up, only a mobile number. Broadcast and collect information in a structured way through action cards. This includes sharing announcements, photos, videos or documents; hosting polls or surveys; assigning tasks; providing training content; marking geo-fenced attendance; and tracking workforces using hyperlocal location tracking. Gather rich insights from data with built-in analytics. Organisations can view results in real-time as they come in, organise large amounts of information with an aggregated view of user responses, and get reports at each level of the organisation. Have full ownership and control over the data, insights and information. Managers can decide who has access to company data, which is all protected by encryption in-transit and at-rest. All Kaizala data is stored in Microsoft Azure datacenters, which adhere to industry standard security and compliance certifications. Is Kaizala available in other African Countries? Although the app is available for download through most app stores, Kenya is the first African country to benefit from an official launch and roll-out. Kenya was chosen due to having one of the highest mobile penetration rates in sub-Saharan Africa. The pilot also received a lot of interest and positive feedback from local organizations, which is why the team decided to officially launch the service to all local businesses. Kaizala will be rolled out to other countries in a phased manner. However, there are no confirmations on additional African countries at this stage. Anyone can download the app but the premium paid version is only available in Kenya. This version is about $2 USD per month. The premium version offers added functionalities and dashboards. To use the app, download Kaizala through your device app store. You can also email KaizalaDev@microsoft.com to get a preview (after NDA and Terms & Conditions) of the developer SDK to build your own extensions to Microsoft Kaizala. Excited about the Application? Have you had the chance to use the app? Share your thoughts with us.